Surprise !! 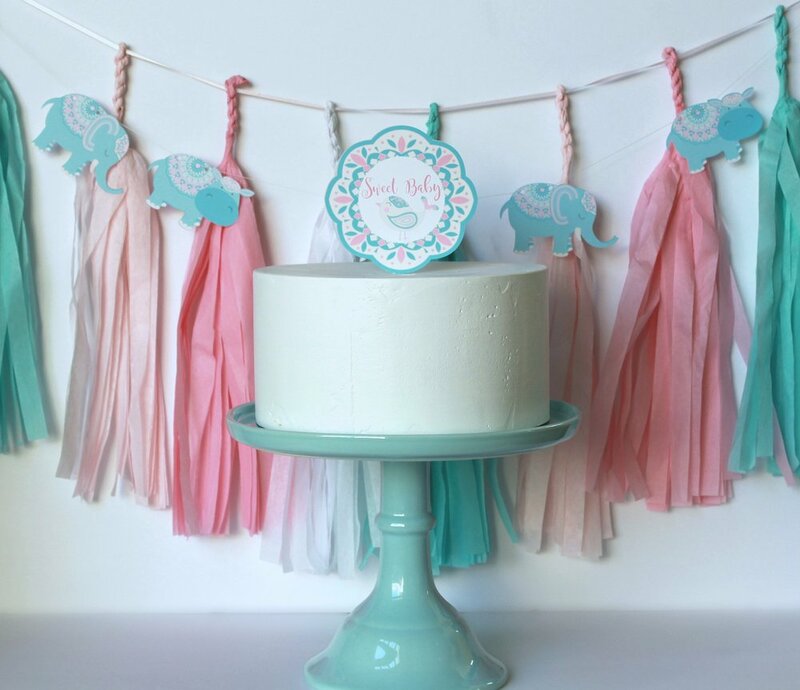 Welcome to our Virtual Baby Shower! I must say that I am so thrilled to be a part of such a sweet celebration that Dawn, from Revel and Glitter worked so hard to put together. Dawn coordinated party stylist bloggers and myself to come together to surprise Laura from MakeLifeLovely with a virtual baby shower. You will get to see more party decor and ideas from my fellow party ladies with links at the end of my post. I am so happy that you are here to join us in honor of the mama to be and help celebrate the coming of her soon-to-be baby girl. I hope your hungry for some sweet goodness! I can't lie when I attend baby showers I am always thinking of the yummy foods that will be served and not to forget the delicious sweets! Who can forget that. I am a huge foodie as you can tell (hehe). One of my favorite desserts will always be cupcakes. They are not only delicious but they are fun to make and decorate as well. Laura,my sweet wishes are for you and your daughter to share fun moments with lots of love and laughter together. Cupcake and cake toppers are the sweetest addition to decorating desserts. I enjoyed every moment designing these toppers for Laura's baby shower. I topped off the buttercream cake with a " Sweet Baby" topper. I wanted it to be simple and sweet. Happy Baby Shower Laura. I hope you feel all the love and warm welcoming of your new baby girl. We are all excited to be a part of this special celebration so lets keep the party going by visiting the other bloggers pages to see what they have done too. See all of the fun with our hashtag #BabyLovelyIsComing on Instagram.